A Literary Vacation : Spotlight on Roman Rescue by Michelle Gilliam + Giveaway!! When nineteen-year-old Maggie flies to Rome on a surprise visit to help her big brother, Paul, she leaves some wreckage behind. She and her mother are estranged, and Maggie even broke up with her boyfriend right before she boarded the plane. But she’s determined to rescue her usually-independent and tough brother, who has no idea what to do now that his pregnant Italian girlfriend has left him. If Paul is surprised to see his sister arrive unannounced, his buddy and fellow Marine, Luke, is even more so. The only place Maggie can stay is with Luke and his wife, and he—polite but secretive—hadn’t expected guests. But the biggest problem is that security-expert Luke wants to keep an eye on Maggie as she sets out to find Paul’s girlfriend. It all seems so innocent at first—meet Paul’s ex, Eleana, and explain the baby’s importance to the family and how much they want to know the child—but things shift quickly: Eleana’s new boyfriend has possible Mafia ties, Luke’s past is riddled with ghosts, Maggie’s own past and loss cloud her judgment, and she also finds herself drawn more and more to Luke, ring on his finger or not. Only when terrible violence erupts and her mother and ex-boyfriend arrive does Maggie understand what new wreckage she has created, and only then do the real rescues begin. In this suspenseful debut with a firecracker romance, Michelle Gilliam introduces a sassy, naïve heroine who leads with her heart—but who just might manage to save them all. MICHELLE GILLIAM is a Registered Nurse. She began writing poetry, flash fiction, and short stories in 2003, but it was the gargantuan task of a novel that thrilled her the most. She has three sons and spends her time with biological and church families, watching her sons’ college football games, traveling, and not least, reading and writing. ROMAN RESCUE is her first novel. 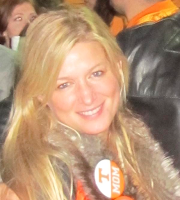 Michelle lives in Knoxville, Tennessee. Find out more about Michelle on her website, and connect with her on Facebook, Twitter, and Goodreads. 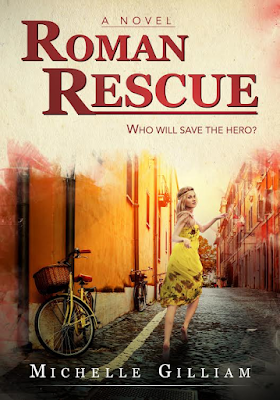 Thanks to Caitlin Hamilton Marketing I have one paperback copy of Roman Rescue to giveaway today (US only)! All you have to do is enter your name and email address on the giveaway form HERE. Please be sure to leave both your name and your email on the form so I can contact you if you are my winner (no email address, no entry!). For extra entries you can follow the blog in various ways (links are on the right hand sidebar) and leave the name/email you follow with on the form. That's it! I'll use a random number generator to pick a winner on November 8th, 2016 and will announce the winner here as well as email the winner. The winner will then have 48 hours to respond to my email with their full mailing address. If you have already won this giveaway on another site please let me know so I can pick a new winner and give someone else a chance to win a copy of this great book. I'm so happy to announce that my winner of a copy of Roman Rescue is...Letty B! Congratulations Letty!